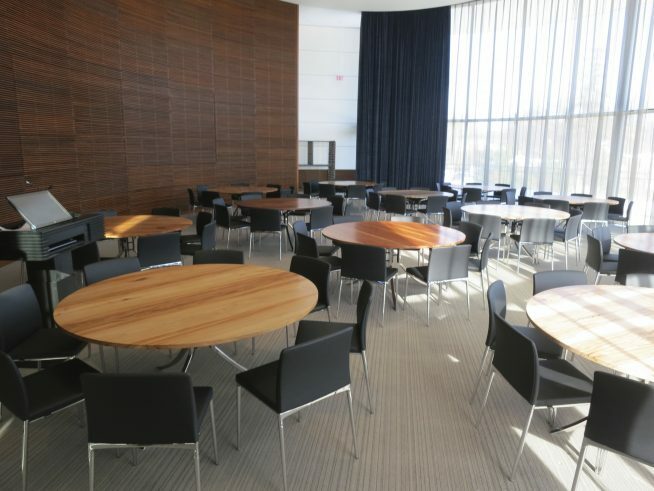 When Yale started construction on it’s new school of management the university had to remove a number of trees from the building site. 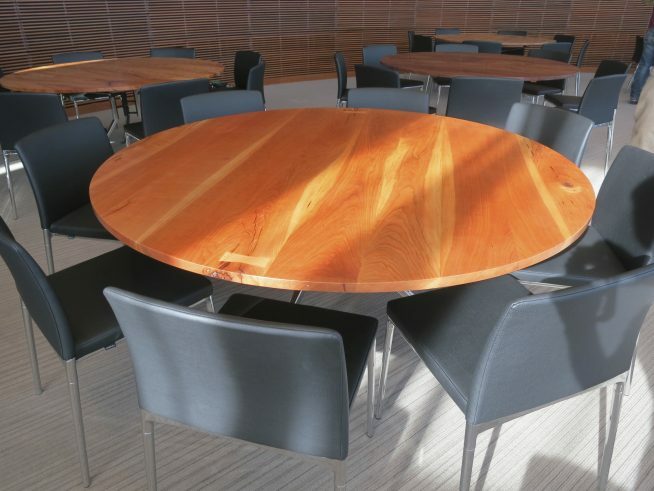 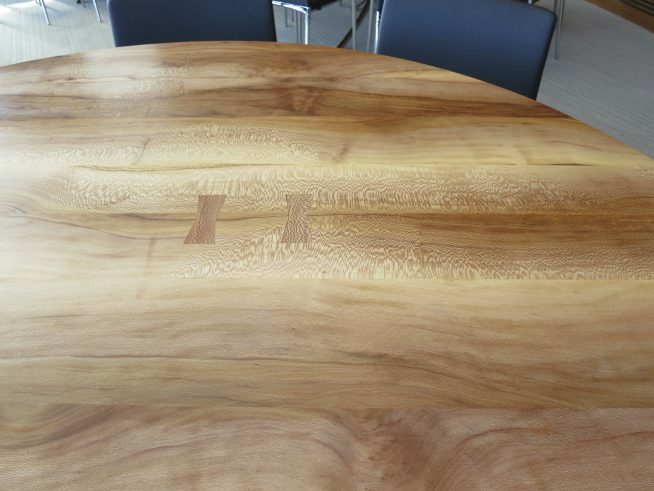 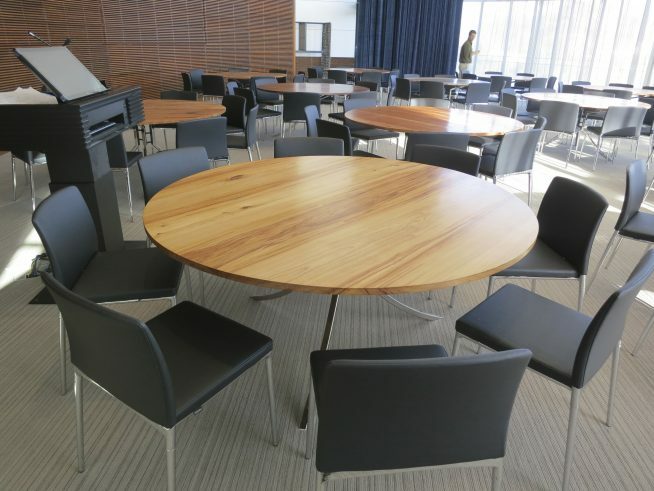 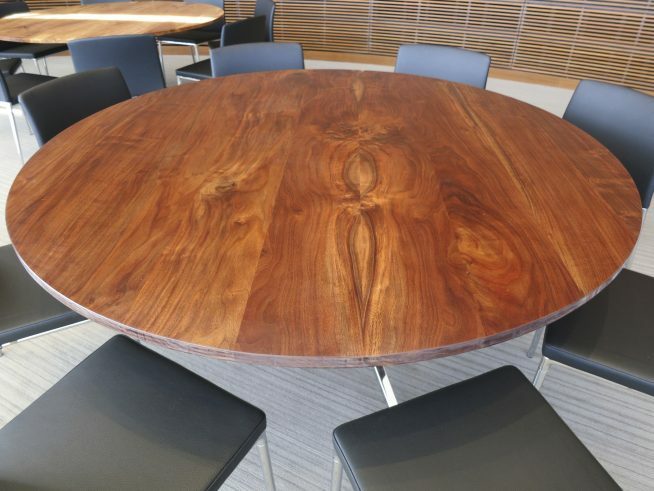 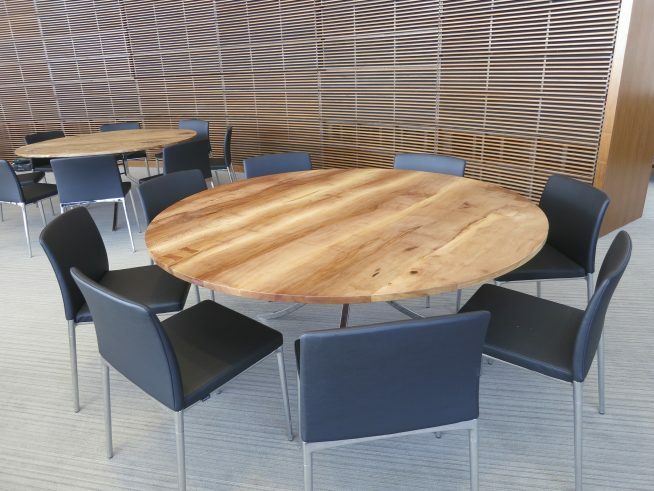 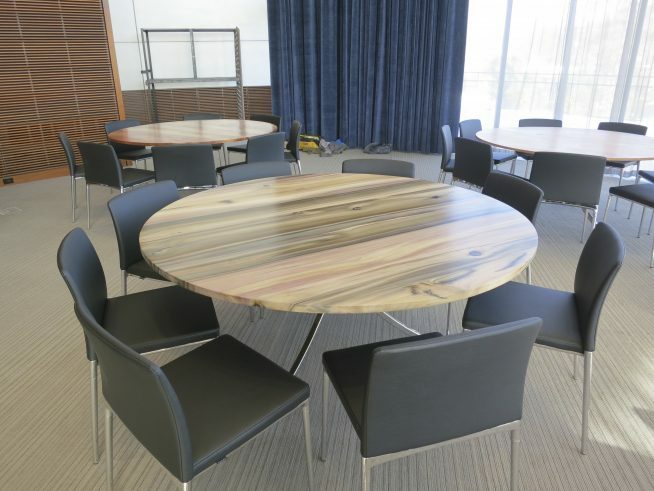 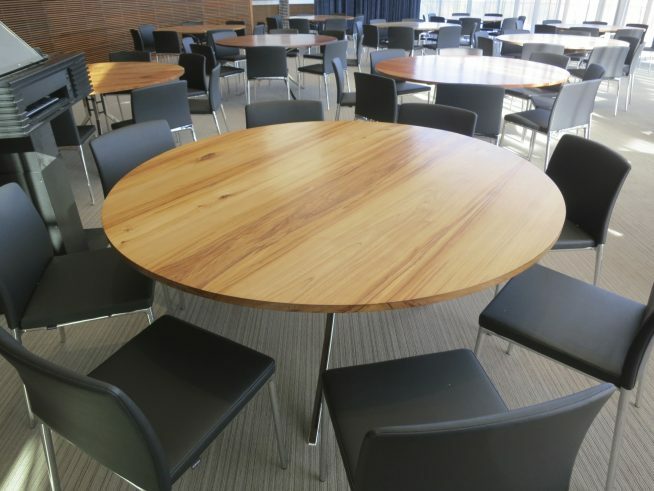 We salvaged them, plus many others from campus, and used them to create 12 tables from 12 different species of campus trees for the Beinkecke room for the new SOM building. 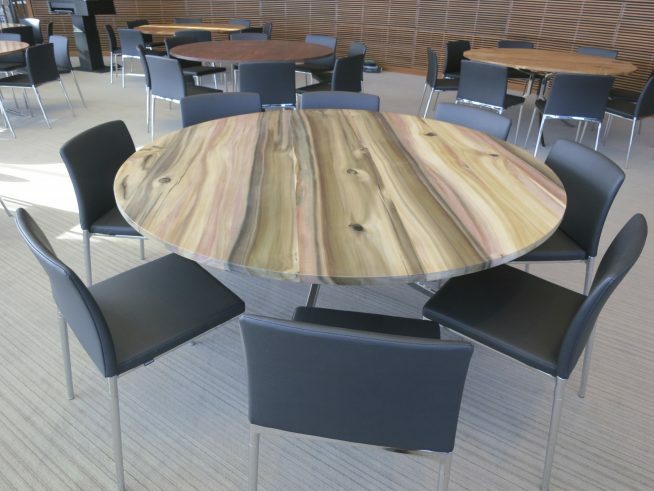 We designed the folding bases with the local metal shop EWS 3-D.